•	We aim to make it as simple as possible for you to control what information you share with us, that is shared publicly (or kept private), indexed by search engines, and permanently deleted. Visit Dartford Ltd is a promotional company, promoting Dartford, Kent and all it’s offerings, Domestically and Internationally. Visit Dartford Ltd is the controller of information about you on this website. Please note that this policy does not cover the links within this site linking to other websites. We encourage you to read the privacy statements on the other websites that you visit. We ask for basic information from you in order to set up your account when you first register with us. For example, we require individuals who sign up for a VisitDartford.com account to provide a username and email address–and that’s it. 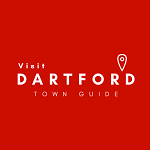 You may provide us with more information–like your name and Bio–but we don’t require that information to create a VisitDartford.com account. If you have an account with us, we collect the information that you provide for your public profile. For example, if you have a WordPress.com account, your username is part of that public profile, along with any other information you put into your public profile, such as a photo or an “About Me” description. Your public profile information is just that–public–so please keep that in mind when deciding what information you would like to include. To add a Listing you must first have an account with us. We have made it easy for you to sign up as part of the process of setting up a Listing. Be careful when deciding what information you would like to include in your listing, public listings are just that – public – If you are an individual / sole trader and do not have customers visit your home address for business, you may not want to enter your business address for example. Listings like Public Profile and Accounts can be edited via your account putting you in charge of what data we hold and is published 24hrs a day pending administrator approval. All optional listing data submitted by a registered member will be stored as long as we have a reason to keep it. You may find that your Business is already listed on our site. If you find your Business on our sites you may claim your business. To claim a Listing you must first register for an account. You may be requested to submit additional optional data that may help us verify your claim. You may ‘favourite’ all listings on our site. Favourited Listings will appear in your Account. If you would like to store your favourites for ‘future visits’ you must create an account. Depending on the Services you use, you may also provide us with information about you in draft and published content (such as for your public profile or Business listing page). For example, if you write biographic information about you, we will have that information, and so will anyone with access to the Internet if you choose to publish the content publicly. This might be obvious to you…but it’s not to everyone! You may also provide us information when you respond to surveys, communicate via one of admin Help Listings plotted around, using our contact page forms, email or via social media messaging services or comments. •	Third Party Vendors: We may share information about you with third party vendors who need to know information about you in order to provide their services to us, or to provide their services to you or this website. This group includes vendors that help us provide our Services to you (like payment providers that process your credit and debit card information, fraud prevention services that allow us to analyse fraudulent payment transactions, postal and email delivery services that help us stay in touch with you, customer chat and email support services that help us communicate with you, and our Hosting Provider, those that assist us with our marketing efforts (e.g. by providing tools for identifying a specific marketing target group or improving our marketing campaigns), those that help us understand and enhance our Services (like analytics providers), and companies that make products available on our websites (such as the extensions on WooCommerce.com), who may need information about you in order to, for example, provide technical or other support services to you. •	Legal Requests: We may disclose information about you in response to a court order, or other governmental request. For more information on how we respond to requests for information about WordPress.com users, please see our Legal Guidelines. •	To Protect Rights, Property, and Others: We may disclose information about you when we believe in good faith that disclosure is reasonably necessary to protect the property or rights of Visit Dartford Ltd, third parties, or the public at large. For example, if we have a good faith belief that there is an imminent danger of death or serious physical injury, we may disclose information related to the emergency without delay. •	With Your Consent: We may share and disclose information with your consent or at your direction. •	Aggregated or De-Identified Information: We may share information that has been aggregated or reasonably de-identified, so that the information could not reasonably be used to identify you. For instance, we may publish aggregate statistics about the use of our Services. •	Other Site Owners: If you have a WordPress.com account and leave a comment on our site that is created on WordPress.com and running Jetpack), your IP address and the email address associated with your WordPress.com account may be shared with the administrator(s) of VisitDartford.com. That means, of course, that information like your public profile, posts, other content that you make public on your profile your “Likes” and comments, are all available to others–and we hope you get a lot of views! For example, the photo that you upload to your public profile, or a default image if you haven’t uploaded one, is your Globally Recognised Avatar, or Gravatar–get it? :). Your Gravatar, along with other public profile information, will display with the comments and “Likes” that you make on other users’ posts and listings, if you are logged in to your WordPress.com account. Your Gravatar + public profile information may also display with your comments, “Likes,” and other interactions on websites that use our Gravatar service, if the email address associated with your account with us is the same as the email address that you use on the other website. For example, we keep the web server logs that record information about a visitor to one of Visit Dartford Ltd’s websites, such as the visitor’s IP address, browser type, and operating system, for approximately 30 days. We retain the logs for this period of time in order to, among other things, analyse traffic to Visit Dartford’s websites and investigate issues if something goes wrong on one of our websites. •	Limit the Information that You Provide: If you have an account with us, you can choose not to provide the optional account information, profile information, and transaction and billing information. Please keep in mind that if you do not provide this information, certain features of our Services–for example, paid listings–may not be accessible. •	Opt-Out of Electronic Communications: You may opt out of receiving promotional messages from us. Just follow the instructions in those messages. If you opt out of promotional messages, we may still send you other messages, like those about your account and legal notices. •	Close Your Account: While we’d be very sad to see you go, if you no longer want to use our Services 🙁 🙁 🙁 :(, you can close your WordPress.com account. Please keep in mind that we may continue to retain your information after closing your account, as described in How Long We Keep Information above–for example, when that information is reasonably needed to comply with (or demonstrate our compliance with) legal obligations such as law enforcement requests, or reasonably needed for our legitimate business interests. We display Google AdSense Advertisements throughout our pages on our websites. Our websites use third party plugins that process information about visitors to our websites’, on behalf of and in accordance with our agreements. For example, WordPress.com offers the design features and support that brings our website to life, when a visitor signs up to VisitDartford.com wordpress.com will collect and store this information, Site Comments data, another example will be collected by automatic.com along with the commenters name and email, or if a listing is purchased using our store and ecommerce features available through WooCommerce Services. WooCommerce may collect information in order to process an order such as credit card and billing details. You can also read more about the data that may be collected by our Third Party Provider When Registering an account, when posting comments, or submitting a contact form or a search query in this Privacy Notice by Automattic.